Happy fathers day to all the dad’s on this special day,let’s not forget to be good husbands as well. Condolences to all the family and friends of the victims of the south carolinia church shooting. This event is a very troubling one and it continues the trend of death and destruction. 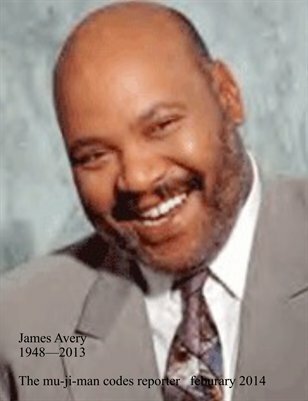 These events are borne out of hate for each other and the reaity that we see each other as different races. It is my hope that we as a species will stop seeing different races when we refer to each other and to moe in the direction of embracing each other as a singular human family,and most of all it is imperative that we dedicate ourselves to becoming h-a-g-e-e-l free. 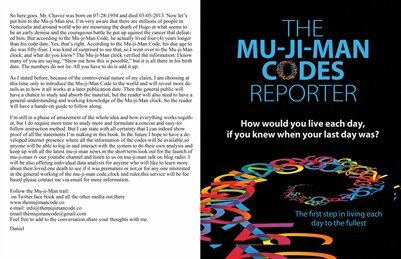 I found it very interesting and it gives me the encouragement to continue my work with the mu-ji-man codes project.am sure that in time the scientists will come to the same conclusions as the mu-ji-man codes theory,that our age,date and time of death is all pre coded into our date of birth and natural birth names. I hope you will all read this article and get some knowledge from it,but most importantly I hope everyone will get a copy of the mu- ji man codes and read it as well. How high is your risk of dying in the next five years? Learning the answer to that question could be as simple as taking a short survey. A pair of Swedish researchers have utilized a massive data set to determine a set of questions that can provide a pretty accurate answer. To understand how this works, it’s important to first consider a few caveats. For starters, correlation and causation are not the same. In this case, researchers are highlighting correlations between risk of death and factors such as smoking and chronic health conditions. They aren’t foretelling anyone’s death. Then there’s the question of who can use this tool to get an accurate result. If you are between the ages of 40 to 70 and you live in the United Kingdom, you are good to go. Everyone else can find the study’s implications to be more useful than the quiz that researchers have helpfully put online. There are more than a few interesting findings that could help doctors, public health officials and regular people ask the right health questions and have a better chance of getting the right answers. For example, researchers found that a factor like “usual walking pace” is a stronger predictor than “number of days per week of moderate physical activity.” It was also one of the strongest predictors of causes of death in the study. The study was co-authored by Andrea Ganna, a biostatistician at Karolinska Institutet, in Stockholm, and Erik Ingelsson, a professor Sweden’s at Uppsala University. Their findings could mean that a short questionnaire — like the one that these researchers have designed — could potentially supplement or even replace a physical examination that identifies people with high mortality risk. The survey asks 13 questions of men and 11 questions of women. Some of the questions are different, because researchers found that different factors were predictive of mortality risk in men and women. They are also wide ranging, including smoking habits, how many vehicles someone owns, walking pace, and whether a person has experienced personal illness or loss of someone close to them. Some factors, such as psychological and socioeconomic variables, were strong predictors of types of mortality that weren’t related to physical health, including suicide or accidental falling. And among people who didn’t have major diseases, smoking habits were the strongest predictor of risk of death within five years. Overall, the results are “reasonably good” predictors of death within five years. To come up with the survey, researchers used data from a project called UK Biobank, which collected hundreds of datapoints from nearly 500,000 people between the ages of 40 and 70. This study is the first of its kind to look at such a broad group of variables in such a large group of subjects. The results of the survey are then compared with the U.K.’s life tables and you’re given a “Ubble age,” which is the age that you are most similar to in terms your of risk of dying. So, for example, if you are a 50-year-old man and the results of the survey give you an age of 56, that means your risk of dying is similar to a 56-year-old man in the United Kingdom. The findings have been published in the journal Lancet. But this project is also remarkable for how interactive and open it is. Anyone can use the tool to investigate how different lifestyle and health factors affect their risk of death. People can also look more specifically at the association between certain risk factors and age.